Pope Francis waves upon his arrival in the United States at Andrews Air Force Base, Md., Tuesday, Sept. 22, 2015, where President Obama, Mrs. Obama, and others were there to greet him. The United States Conference of Catholic Bishops has chartered a American Airlines jet to take the Pontiff around the U.S. When Pope Francis travels around the U.S. this week he'll fly on an American Airlines jet temporarily christened Shepherd One. The charter plane operated by Fort Worth-based American will take the pope from Andrews Air Force Base outside Washington, D.C., to John F. Kennedy International Airport in New York. 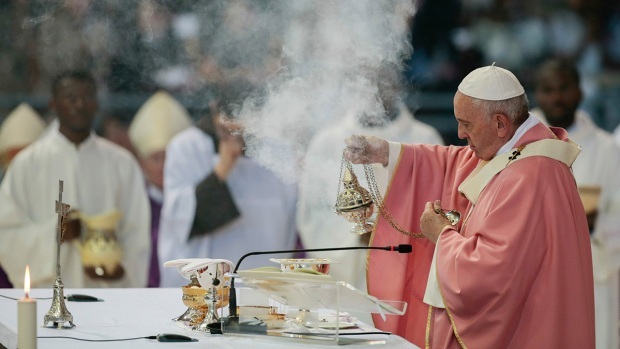 The pope is scheduled to address the UN General Assembly on Friday. On Saturday, the Boeing 777 will take the pope from JFK to Philadelphia. The plane will fly the pope back to Rome on Sunday. The jet was chartered by the United States Conference of Catholic Bishops. The pilots and other crew are American Airlines employees and represent different religions. 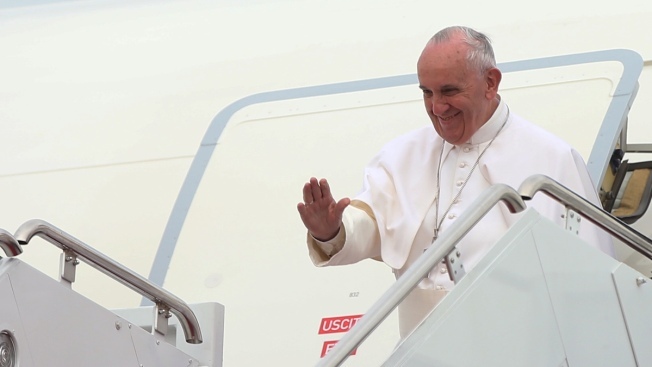 Pope Francis used Alitalia to fly from Rome to Cuba on Saturday and to Washington, D.C. on Tuesday.